Erin 'Ivy' Robinson, a.k.a Lively Ivy is the author of Blackwell Unbound, a series which you have surely heard of if you are an adventure gamer. 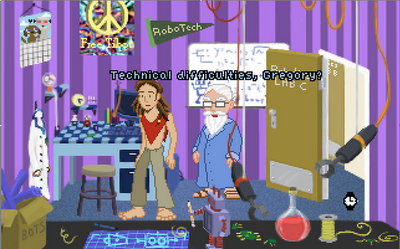 Ivy has a few interesting adventure games on her site that are free to download. Both are older, but are surely 'don't miss' titles that demand another mention. 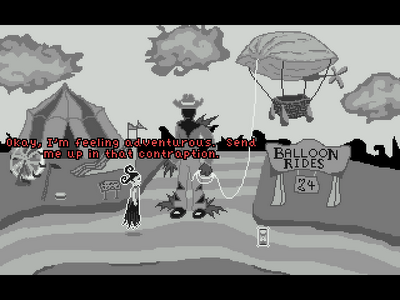 First up we have Spooks, a Sierra-style point and click set in the Land of the Dead. It was nominated for numerous awards by the 2006 AGS community and you owe it to yourself to check it out. Second on the list is Nanobots, a unique adventure game with six protagonists racing to avoid their own destruction. This game now has a sequel for purchase called Puzzle Bots which is currently going for $15.